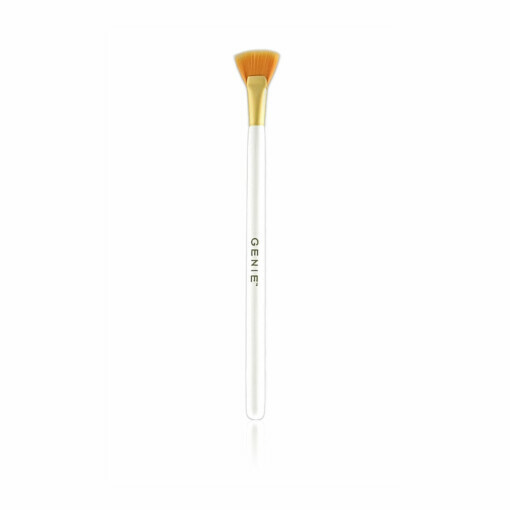 Perfect for applying GENIE Instant Line Smoother into the vertical lines above your lip, the crow’s feet and the Number “11”. Particularly helpful for GENIE ladies who might need more than one application of product. Made from Taklon, a high-quality synthetic hair more gentle and durable than animal hair. This tiny tool packs some serious performance. This perfect companion to GENIE Instant Line Smoother and GENIE Color Correcting Powder gives you precision application and is cruelty free.